Located within minutes of downtown Saratoga Springs, Prestwick Chase at Saratoga is an active adult apartment living community. We are a Family Owned and Operated 55+ Active Retirement Community, 3 miles from Skidmore College and downtown Saratoga Springs, New York. Prestwick Chase at Saratoga has plenty to offer in suites, apartments and cottages on 120 acres of beautiful countryside just minutes from downtown Saratoga Springs. Close your eyes and point to anywhere on a map of Saratoga Springs and you will find great social and recreational opportunities. With each and every season, the opportunity to enjoy our region begins again. 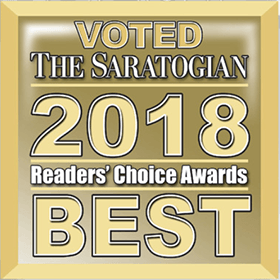 Parks and scenic beauty abound with an array of entertainment opportunities, such as the Saratoga Performing Arts Center, the Saratoga Racino, and the world renowned Saratoga Race Track. Breathtaking views, a quaint downtown, sumptuous dining and a rich variety of museums and dedications to the region’s history await you. Prestwick Chase at Saratoga is less than an hour away from regional and international transportation services, so connecting family and friends anywhere in the world is made easy. Located on 120 scenic acres in the foothills of the Adirondacks. Just 5 minutes from downtown Saratoga Springs. Conveniently located near the Saratoga Racecourse and Saratoga Racino. Our shuttle bus service makes scheduled trips to Saratoga Springs and frequent trips throughout the Capital District. We have many amenities, including full-service dining, a health spa and unisex salon, putting green, creative arts center & more. 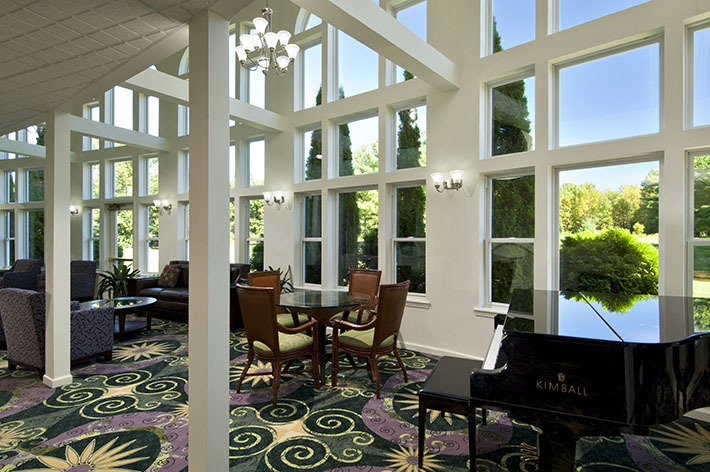 We have maintenance-free senior housing. With apartments, cottages, and guest suites for friends and family!